Block ❀ Crystal ✿ - ? This will prevent ❀ Crystal ✿ - from sending you messages, friend request or from viewing your profile. They will not be notified. Comments on discussion boards from them will be hidden by default. Sign in to Goodreads to learn more about ❀ Crystal ✿ - . "This book was really heavy. If you tear out most of the pages, it's not as heavy. But when you do that, the book just doesn't make any sense. ❀ Crystal ✿ - is 19% done with Possessive Policeman: Hero is coming off more cocky than alpha. Getting adult frat boy vibes, hopefully since he’s supposedly double her age (36) she won’t be the only mature one. Also side note, I don’t think 36 is anywhere near retirement age like he alludes. Even if she’s 25 making him 50, he still has a ways to go. Guess we’ll see how it goes. We’d love your help. Let us know what’s wrong with this preview of Possessive Policeman by Flora Ferrari. We’d love your help. Let us know what’s wrong with this preview of Caveman Alien’s Claim by Calista Skye. We’d love your help. Let us know what’s wrong with this preview of Beast by Luna Hunter. We’d love your help. Let us know what’s wrong with this preview of His To Claim by Taylor Vaughn. We’d love your help. Let us know what’s wrong with this preview of Instalove Island by Flora Ferrari. ❀ Crystal ✿ - has read 63 of 225 books. ❀ Crystal ✿ - read 263 books of her goal of 215! ❀ Crystal ✿ - read 315 books of her goal of 250! ❀ Crystal ✿ - read 264 books of her goal of 225! 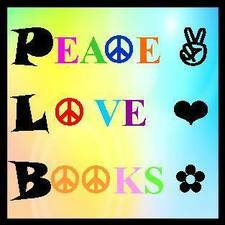 Take a look at ❀ Crystal ✿ - ’s Year in Books. The good, the bad, the long, the short—it’s all here.